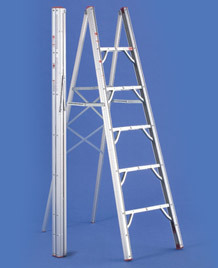 Offering competitive prices and a well made product line of compact folding ladders and work platforms. Click below to shop now! 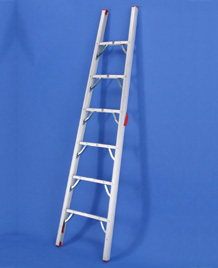 Welcome to Ladder Guy! 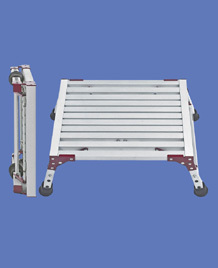 This is your source for quality compact ladders coupled with excellent customer-oriented service. 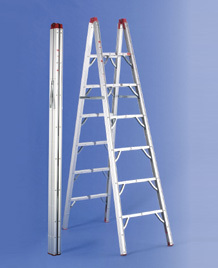 Here, you’ll find a compact ladder for any job around the house, in the yard, or on the go. 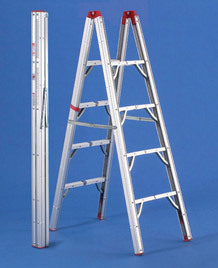 Whether you need to do some garage work or would like a ladder for your RV or motorhome, you are sure to find your ideal ladder here. 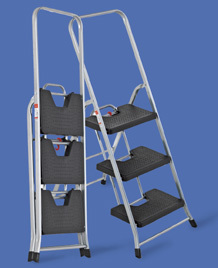 These compact folding ladders are specially designed to take on the wear and tear of use while still remaining light enough to carry from place to place. 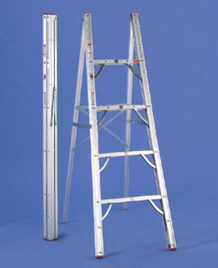 Each ladder features folding joints, allowing you to store them easily wherever you have space. 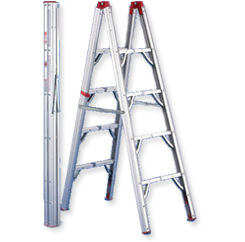 Our work platforms are perfect for those handymen and professionals looking for sturdy equipment that will not take up loads of storage space. 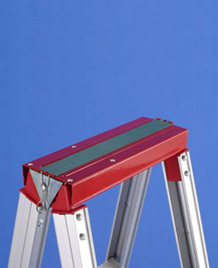 You will also find compact step stools for simple household tasks or for reaching those high cupboards. 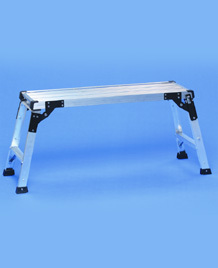 These step stools fold up and will conveniently fit in any nook, cranny, or closet. Customer service is the most important item on our agenda. If you need help, feel free to contact us. Our phone lines are open, and we are happy to assist you. Browse the catalog at Ladder Guy and find the ladder you need.